Drunk driving is a dangerous activity, not only because of the risk to your health but also because of the risk to your freedom, finances and future. A conviction for drunk driving is a criminal conviction, which means you will have a criminal record and you could go to jail. A conviction of drunk driving can also result in the suspension of your driver's license, the loss of your auto insurance, and the impounding of your vehicle. When you are arrested for drunk driving, you must take the charges as serious as law enforcement and the state of Florida do. This means you must get qualified legal assistance. 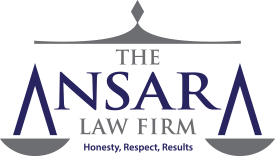 The Fort Lauderdale DUI defense attorneys at The Ansara Law Firm have represented countless clients in DUI cases in Boward County and throughout South Florida. We have the legal knowledge to help you respond to the charges against you and to assist you in protecting your legal rights after a drunk driving charge. In the state of Florida, drunk driving is normally charged as a misdemeanor offense. However, repeatedly driving while intoxicated or becoming involved in an accident while driving drunk can elevate the charges you are facing to a felony. Your BAC at the time of the offense. Those with a BAC above .15 are subject to larger fines, longer jail time and generally harsher consequences. Aggravating factors, such as whether there was a minor under age 18 in the car at the time of the DUI. Whether you have had prior DUI convictions within the previous five to ten years of the current offense. For instance, those who are first time offenders may be fined between $500 and $1,000 and may spend up to six months of time incarcerated. The total maximum period of incarceration and probation combined is a year. However, if the first time offender had a BAC above .15, then he or she may be sentenced to a fine of between $1,000 and $2,000 and be incarcerated for up to nine months. This harsher penalty is also the consequence for a second DUI offense or for a first DUI with a minor in the car. Penalties for drunk driving become more stringent with each subsequent crime and by the time you have committed four or more offenses, you can be classified as a habitual offender and be incarcerated for as long as five years. You may enter into first-time offender or diversion programs in certain cases in order to avoid criminal conviction. You may arrange a plea bargain or plead down to lesser charges. This is at the discretion of the prosecutor, but the experienced attorneys at The Ansara Law Firm can put their negotiation skills to work in helping you arrange a plea. You may allege a violation of your constitutional rights in order to have evidence suppressed or kept out of court. You may raise various defenses including a rising BAC defense or a faulty Breathalyzer defense. You may point out that a prosecutor does not have sufficient evidence. Remember, you don't have to prove innocence- the prosecutor has to prove guilt. These are just a few examples of the ways you can respond to a drunk driving charge in the state of Florida. The important thing is to respond in some way, to take action and to find a legal advocate to protect your rights. Don't just accept the charges against you or make a decision without knowing what your options are under the law for minimizing the serious consequences of these charges. If you have been charged with DUI in South Florida, call The The Ansara Law Firm today for your free initial consultation at (954) 761-4011! You can also contact us online. It only takes a minute to call, but it can make all the difference in the world.